thinkdg.com – Without think, it's just design. | It’s a discipline. It’s a process. | It’s a voice—sometimes a whisper, sometimes a roar. | It’s us, a gathering of like minds creating solutions that speak. The solution is not more red. It’s not straight or curved. It’s not a typeface. It’s not, for that matter, a logo, brochure, or website. It’s a process. At ThinkDesign Group, the process is what starts exploration and ends by changing how people think, act, and live. The process helps create not just good design, but better design—design that takes you further. Since our founding in 1995, we’ve worked hard to deliver graphic design that is as smart as it is evocative. Get to know you and learn everything we can. Assemble the ideal team. Set project goals. Establish and adhere to a budget and schedule. Define and prioritize key messages. Imagine possibilities. Explore and present intriguing concepts. Create design options. Integrate concept and key messages through text and images. Revise content. Finalize design, text, and art. Proof, proof, proof. Produce with the highest standards. Deliver it on time, on budget. You invest in ThinkDesign Group and we give you results that go beyond the final pieces. The process will provide you with tools and key messages to use in all your work. Linda’s design ethos is fueled by both an instinct for the strategic and a dedication to detail—an approach in which the minutiae of kerning and cropping are as important to success as front-end planning. 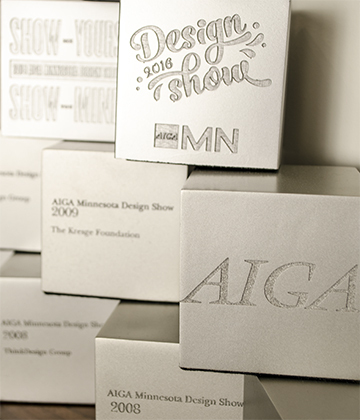 With an extensive print and digital portfolio in nonprofit and commercial work, she is the recipient of numerous design awards, which include being named as a “Person to Watch” by Graphic Design USA and as one of Minnesota’s female design leaders by the College of Visual Arts. The balanced approach she brings to her design comes from her passion for the outdoors—running the Minneapolis lakes, sculling on the Mississippi, or biking the Twin Cities trail system—and for exploring fresh world-views through global travel adventures. In the community she has served as an officer and advisory board member of AIGA Minnesota, mentored MFA students at Minneapolis College of Art and Design, and served on the Minneapolis Rowing Club’s board of directors. 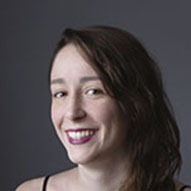 A native New Yorker, Linda holds a BFA in visual communication from the University of Kansas. She founded the ThinkDesign Group in 1995. Jenica believes in the power of research, thinking, and hard work to change the world. She graduated with a BFA in graphic design from the Minneapolis College of Art and Design, including a semester abroad at the Royal Academy in The Hague. In school she honed her skills with pens, pencils, Xacto blades, and, of course, the Adobe Creative Suite, becoming a “quick key” aficionado, and making headway into the world of coding. Her dogs, Zeus and Storm, have also been working on their design careers, in addition to Search and Rescue jobs, and frequently accompany her to the office to refine their skills in networking and naps. When she’s not designing, Jenica spends her time volunteering, hanging out with friends (especially the furry ones), reading or listening to books and podcasts, and being outdoors. One of the many ways to gauge a design firm is by seeing how others receive them. We think our awards help tell the ThinkDesign story, but they’re not the reason we’re in business. We like thinking and designing to solve problems. Everything else is icing on the cake.